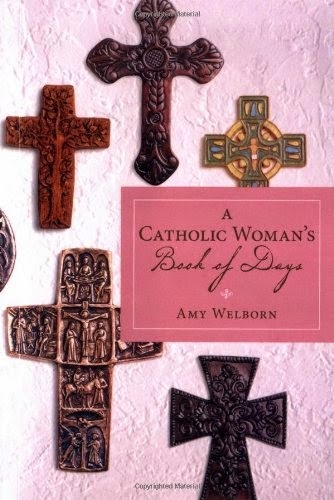 A Catholic Woman's Book of Days by Amy Welborn looks mighty lovely. I haven't read this, but it has short reflections for every day of the year and is written specifically for Catholic women. Catherine Doherty has an engaging book called Grace in Every Season. I have read portions and found Catherine's reflections to be short and to the point, yet contain depth and relevance to my personal life. Perhaps Moments of Grace is more what the busy woman needs—a flip-style desktop calendar with 365 days of Catherine's wisdom. Even Catherine's one-liners are spicy enough to make you stop and think. For a more frugal gift idea, the Companions of the Cross have a small booklet called Treasure in Heaven: A 40-Day, 10 minutes a day prayer guide. The guide is available for free online and gets any busy person into the habit of prayer and meditation, starting with 10 minutes per day. I've been using it now for several months and I appreciate the ease and flow of the prayers as well as the opportunity to meditate on Scripture. And no Catholic woman is complete without a pretty rosary, perhaps one that doubles as an elegant bracelet. Check this one out. And this one. And this one. Who says you can't fit more beauty and prayer into your day? When I first started living on my own, I couldn't cook much more than spaghetti and eggs. A friend of mine encouraged me to start cooking, giving me recipes for things like "rouladen" and "salmon" and thus began my life long love affair with food. Regardless of whether you love cooking or do it only out of necessity, a good knife is essential. Seriously. You don't even need a whole set, just one good chopping knife. It saves you a surprising amount of time and fingers. Trust me on this one. You want to know what else saves time? Full meals. In the freezer. (I just blew your mind, didn't I?) Although I don't own this book, it's been on my wish list for months now. It's called Don't Panic—Dinner's in the Freezer by Suzie Martinez, Vanda Howell, and Bonnie Garcia. There's something comforting about knowing you've got a backup plan when the "There's nothing for dinner!" blues hit. Many working women have jobs outside the home. For those stretches of time where they are commuting to work (or for those with quiet time every day), audiobooks are the perfect (and frugal) gift. Loyalbooks.com has over 7,000 titles available free for download onto just about any technological device. Librivox has all sorts of public domain books ready for download. Some of that quiet time could be used to "read" Pride and Prejudice or listen to the eyewitness accounts of the sinking of the Titanic. Who says active women can't be smart women? I've often heard about "Of the Month" clubs but have never tried them. It's one of those things that I would find delightful, but would never buy for myself. In other words, the perfect gift. I found this site (amazingclubs.ca) that has a whole list of drool-worthy options. Wine of the Month, Chocolate of the Month, Beer, Tea, Candy, Candle, BBQ (and they even have a gluten-free option). I can't vouch for how awesome this particular club is, or the quality of their stuff. I just think the idea is so cool. There are always the go-to gifts for those living hectic lives. Gift certificates for favourite coffee shops or local haunts are good. Even gift certificates to grocery or big box stores are practical and useful—who doesn't eat? Coupons for personalized meals or services are also excellent ways to tell a busy friend or relative that they are appreciated. A magazine subscription is also a great gift idea as they're handy for the bits and pieces of extra time you find for yourself. There are plenty of Catholic and Secular magazines that range in prices. Catholic Insight is an excellent publication, both in print and online. I personally love getting my home decor magazine every month. I got this decor magazine subscription for $16 for a year (just wait for the sales). There are plenty of others. Perhaps find out what the lady in your life enjoys and go with that. Merry Christmas and happy gift-giving!! I'm very interested in the passion planner. My planner is my sidekick and it gets terribly messy and difficult to follow because it has only the one page divided into time slots. The PP sounds a lot more suited to my needs. Great ideas!!!! 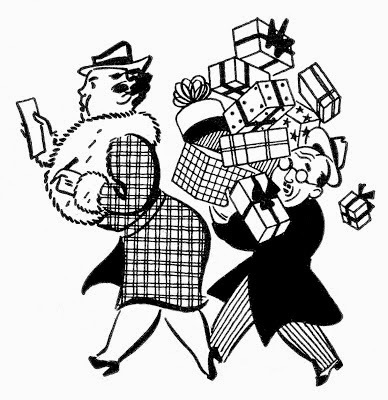 A fresh perspective on gift lists.